I was struck by something Doors of Perception founder John Thackara said a few years ago - "We know what technology can do, but what is it for?" 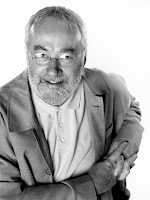 A guest lecture at Said Business School by IDEO co-founder, award-winning designer Bill Moggridge, provided possible answers, discussing many of the technologies which have become common or even essential in industrialized countries in the last 20 years. This was our final Design Leadership MBA elective class, open not just to Said students but to the wider university, which I organized jointly with the James Martin Institute. Drawing on material from his recent book Designing Interactions Moggridge raised the issue of the increasing complexity in material world in the objects and networks around us and talke about how to draw on a range of expertises to create new products, services and experiences. Showing a video of a woman trying to use her i-mode phone to buy a can of drink from a vending machine (it took 35 minutes) communicated clearly the impact of poor design. It reinforced the point we have explored in this MBA elective about the importance of attending to the artefacts through which end users/customers experience products and services. Moggridge's process recommendations for success to avoid what this user experienced include - of course - prototyping. - and a general design awareness (how to choose). For managers and entrepreneurs, I think this means they don't have to all rush off to design school but rather develop an awareness of the design approach (whether it's called design thinking or something else) and improve the organization's ability to make judgements about design. In the final week of our MBA elective in Design Leadership, we drew on recent public and media discussions in response to the London 2012 Olympics brand and logo as a way to discuss success and failure in design. In our conversation we reviewed a range of publicly available resources as data - the London organizing committee's aims for the Olympics, the film that communicates the vision behind the brand, news reports about the problems experienced by viewers from the 2012 advertisements which appeared to trigger epilepsy, the campaign to redesign the logo and the legacy from previous Olympic brands and their graphic identities. For managers, key issues are how to manage the design process to meet the organization's goals, and how to evaluate design effectiveness. In the second part of the class, we heard from guest speaker Chris Thomason from PDD, a leading independent design company with offices in London. Unlike many other consultancies, PDD offers "concept to cash" consultancy, including expertise in advising clients on manufacturing in China, for example, and in house skills and technology to test prototypes against spec. Their team of 60 people includes not that many "designers" - rather they offer a range of skills and resources including in research, ergnonomics, prototyping, engineering, and psychology. For Chris, a key question for clients was whether they want something similar or something totally different. Failures include failures of timing, of execution and killing off concepts too early. His claim - "We design profit streams for companies" - left the audience with the question about what approaches, methods and skills managers need to deliver on the goals of strategy if they want to explore new areas. Is an understanding of design and design management essential for innovation? In this week's class we looked at the work of academics who propose that designing is a metaphor of value to businesspeople - a way to think about how they might go about their practice, especially in contexts of uncertainty and ambiguity, in the design of all different kinds of forms whether organizations or new ventures. The two key thinkers in this area are polymath and Nobel prize winner Herbert Simon and Donald Schon. Simon - whose "The Sciences of the Artificial" (1969) provides some of the most ubiquitous quotes in this field - argues that designing underpins all human activity in what he calls the realm of the "artificial". While he proposes that a science of design will be an important area of study and suggests some of its topics, Simon's intellectual foundations in technorationalism make the detail of his ideas unattractive to those who are attentive to the social contexts in which people do things. Schon's "The Reflective Practitioner" (1983) uses emprical studies of how professionals of different kinds go about their practice to propose that problem framing, not just problem solving, is a significant activity for professionals. The more recent readings are from Boland & Collopy, whose event Managing as Designing in 2002 brought together a wide range of scholars and practitioners interested in exploring this idea. The event led to a publication of the same name (Stanford Business Books, 2004). Writing by Jeanne Liedtka on strategy as design, and Roger Martin on the design of business, is based on the argument that managers should be more like designers. Translating some of the ideas emerging in design research since the 1960s, Liedtka and Martin are reaching a new audience - both are based in business schools (Martin is Dean of the Rotman School, Toronto). After a century in which management education has moved from the scientific closer to the social, I think it'll take a while to absorb ideas from the arts and humanities.